Choosing a quality carpet and upholstery cleaning company in Perth Western Australia can be a minefield. I write this article with the hope it can provide you with some clarity and confidence when making your choice. The carpet, upholstery and tile cleaning industry is, unfortunately, an unregulated industry and therefore has no barrier to entry. This leads to many untrained, unskilled operators in the marketplace, which can spell big trouble for the unsuspecting customer. What initially appeared to be a professional business with a flash website, pamphlet or Facebook ad, can quickly turn into a disastrous experience. I have seen many examples of misleading advertising throughout my 25 years in the industry and through many years serving as an active member of The Carpet Cleaning Association of WA, of which I was President for four years and now appointed recruitment officer for incoming members. Some of these bad experiences can range from over wet carpet that takes days to dry out or an operator who is just not able to remove basic spots and stains from a carpet. In some cases, untrained operators can cause further damage to carpets and upholstery with their cleaning processes. Incorrect cleaning processes on certain fibre types, may result in cellulosic browning, most often to natural fibres, such as cotton and linen. In my 25 years in the industry, I have come across many instances of poor workmanship due to lack of experience, training and knowledge. I have seen chemical burning to wool carpets that has been caused by the incorrect use of high PH cleaning solutions. Specialist stain removal is often required to treat furniture stains. This type of stain is due to a previous operator not taking the time to protect the wet carpet from metal or wooden furniture. Placing wooden and metal furniture immediately back onto wet carpet, without protectors, causes rust marks and furniture stain to bleed out onto carpets, and prove difficult to remove. There have been many cases over the years where damage has occurred to the property. Cases, which show a an obvious lack of care from operators , such as not using ground sheets when cleaning upholstery, has led to damaged floorboards and damaged walls from not using corner guards to protect the walls from their hoses, when carpet cleaning. However, by far the most common complaint is poor service and disappointing results. So how do you choose a competent carpet and upholstery cleaning service in Perth? Do they have training and certifications in the field they are claiming to be experts in? Are they members of a trade Association, such as The Carpet Cleaning Association of WA? Do they have public liability insurance cover? Do they have a national police clearance? Do they have a current ABN? Are they registered for GST? Do they have a company OH&S document and processes? Do they carry chemical safety data sheets in their vehicles? Do they carry a range of solutions, such as volatile organic compound and fragrance free products for chemical or fragrance sensitive clients? Do they have authentic positive online reviews? Also to be considered when looking for a carpet cleaner in Perth is price. Don’t be fooled by the promise of a cheap carpet clean only to end up paying much much more than what was agreed over the phone. This is classic “bait and switch” advertising and very common in the carpet and upholstery cleaning industry. An example of this style of advertising may be a carpet cleaning company advertising three rooms of carpet cleaned for $99.00. Now at that price, it is very unlikely that the company can make any profit. What we have found, is the carpet cleaner will tell the customer that their rooms are bigger than average or more heavily soiled than normal, requiring additional charge. Add on products are also suggested in an attempt to increase the average client bill. Products that are not necessarily needed, such as carpet protector for an old, thread bare carpet, perfumed deodorisers that do not work as promised and fabric protection for fabrics that do not benefit from protection. This is a common practice with cheap end of the market carpet cleaning businesses, as it is the only way they can make a profit. A handy hint to avoid this problem is to follow the above tips and look for a carpet cleaning company that charges by the square meter. This is the fairest way to charge, as you only pay for the area you are having cleaned, be it around furniture or whole rooms, you only pay for the area cleaned. Lastly, call several operators and ask the same questions of each. You will then get an understanding of the level of training and knowledge of the technician you are speaking to and only once you feel confident, commit to engaging their services. 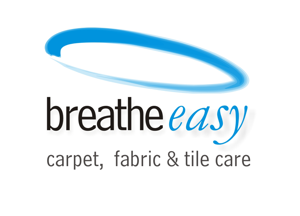 Article written by Andrew Connell, of Breathe Easy Carpet and Fabric Care with personal views and opinions expressed, formed over 25 years in the carpet and upholstery cleaning industry and experiences of being a member and president of The Carpet Cleaning Association of WA.